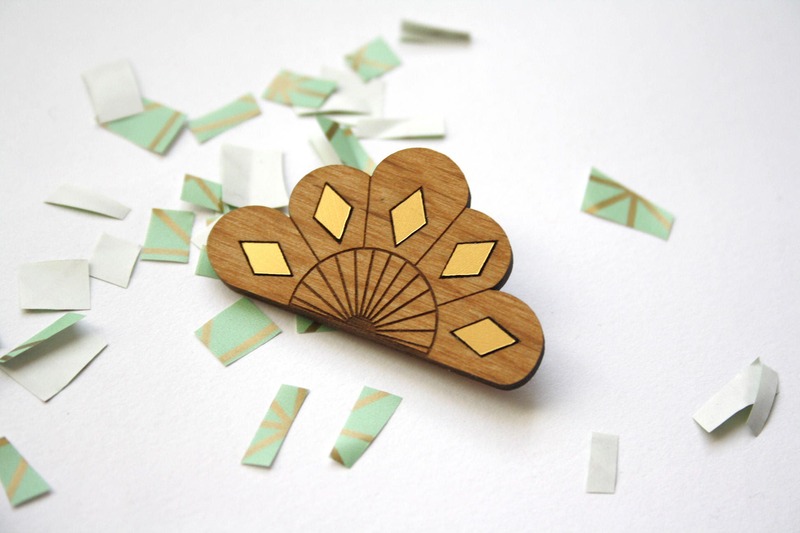 Geometric flower brooch in wood with gold color lozenge inlays. Modern jewelry, art deco style. 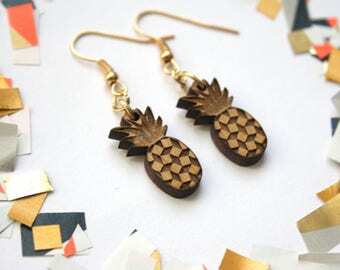 Wooden woomen accessory. 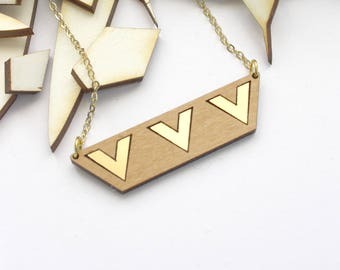 ▲ Shapes are laser cut and laser engraved, then assembled by hand. Gold color lozenge, inlays assembled by hand. Handmade, made in France, Paris. ▲▲▲ Wood size: 4,8 cm x 2,2 cm = 1.88 inch x 0.86 inch.